Bayer Leverkusen fought back from a goal down to earn a win against Chelsea in their Champions League Group E match. Didier Drogba opened the scoring early in the second-half, but substitute Eren Derdiyok capitalised on another defensive error by Chelsea’s shaky defence to equalise, before Manuel Friedrich headed a dramatic winner in injury-time. Following the defeat against Liverpool on Sunday, John Obi Mikel – who was dispensed with at half-time during that match – and Florent Malouda were left out of the starting XI this time around, while Fernando Torres also remained firmly rooted to the bench as Daniel Sturridge and Drogba were preferred alongside Juan Mata at the point of Chelsea’s attack. Raul Meireles was also recalled, while his opposite number in the Bayer Leverkusen side, Michael Ballack, took to the field wearing a similar face mask to that of Petr Cech, who recently broke his nose and now seems determined to cover up every inch of his head like a giant luchadore wrestler. After some – in polite terms – dodgy performances in recent weeks, Andres Villas-Boas would have been keen for his defence to stay rigid and impenetrable from the offset. Other than one headed chance from Ballack which looped over his tag-team partner Cech, only to rebound back off the crossbar, the Blues’ manager’s strategy worked. Unfortunately, it saw creativity suffer at the other end. 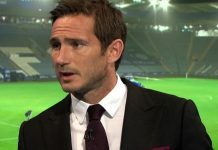 A Frank Lampard free-kick from around 35 yards almost summed up the fruits of Chelsea’s very laboured labours in the first-half – his effort was wild and desperate as it swung high into the stand behind the Leverkusen goal. However, the away side did improve, and created three decent chances as the first 45 expired. Drogba rounded Leverkusen ‘keeper Bernd Leno before firing over; Mata volleyed straight at Leno after a neat flick from Sturridge; and the young English striker himself also muddied the gloves of the home side’s shot-stopper with a curled effort from the edge of the box. Leverkusen, meanwhile, were stoic at the back but ridiculously blunt at the other end. It was almost as if the pre-match team-talk was cut short after the defensive instructions were dished out, with Ballack just deciding that the best attacking tactics would be for everyone to pass to him so that he could try and score against his former team. But the first goal came from Chelsea, just after the break. Sturridge was the key man, finding Drogba who used his immense strength to hold the ball up and turn swiftly like a mechanical bull, before swinging the ball into the corner of the Leverkusen goal. The German side looked to hit back, with Cech the thorn in their side as he superbly saved from Ballack (twice) and Stefan Kiessling, but Sturridge was proving to be extremely lively on the counter, as his boyish speed enabled him to carve out half-chances against a bewildered Leverkusen defence. Speaking of boyish, the sometimes naïve (again, to be polite) David Luiz was replaced by the more dependable Alex as the Blues looked to consolidate their narrow lead with around twenty minutes of the match left to play. Leverkusen also shook up their personnel, and the introduction of the Swiss striker Eren Derdiyok did indeed shake up the game. The Chelsea backline allowed a swinging low ball across the edge of their own box, and an unmarked Sidney Sam (a great name for a secret agent) was able to evade the onrushing Cech – the only man who seemed to notice Sam – collect the ball and send a cross over to the back post, where Derdiyok was waiting to head home for the equaliser. Drogba provided some theatrics in an attempt to win a penalty soon after, but although there was contact in the box, no lifeline was awarded for the now chasing Chelsea. And their woes continued as Leverkusen netted at the start of injury-time, with Friedrich heading home from a Gonzalo Castro corner. It proved to be the winner. With Valencia winning handsomely against Genk, a Leverkusen win here leaves Group E looking extremely tight, with a crucial final day approaching. 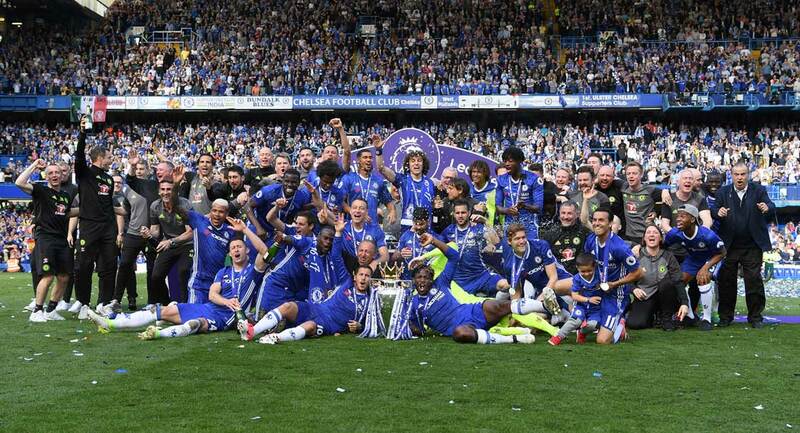 For the winners, Champions League progression; the vanquished will ‘earn’ a spot in the Europa League. In this form, Chelsea would be lucky to win an Intertoto Cup match.